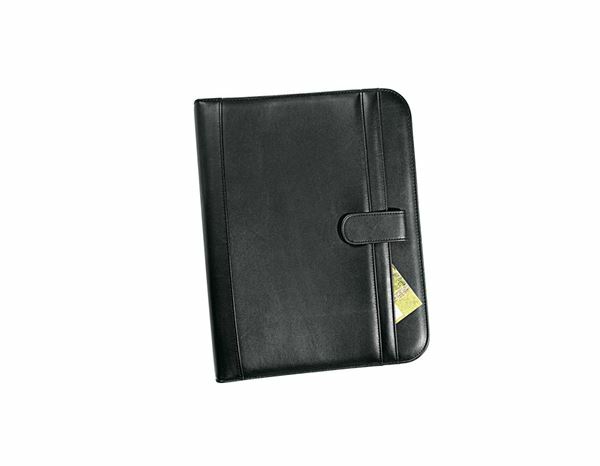 This practical folder with its removable 4 hole loose leaf file ensures that all your important documents stay put, protected, and well organised. Business cards, mobile, calculator, documents, pens...everything finds a proper place. 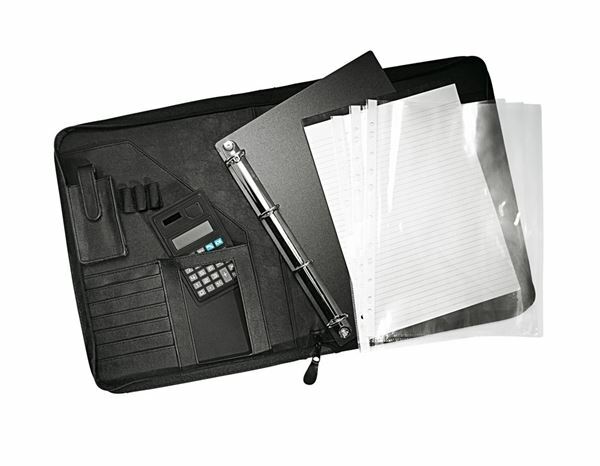 The integrated calculator and separate mobile pocket are especially convenient and assure that your office on the go is fully functional.